This writer's first exposure to this Baltimore area five-piece was a couple years ago via a pirate tape of their performance at Progscape #1 ('94), the second was their live performance at Progscape '96. So, without having heard any of their studio material before, there were nonetheless some general expectations. Children is their second album. Their style is firmly in the melodic neo-progressive camp, strongly influenced by late 70s Genesis, in a way comparable to bands like IQ or Jadis, perhaps with a bit more introspection and moodiness; singer Glenn McLaughlin's Collins-like voice establishes another strong link with the And Then There Were Three period — if Genesis needs a new singer, this is their guy. 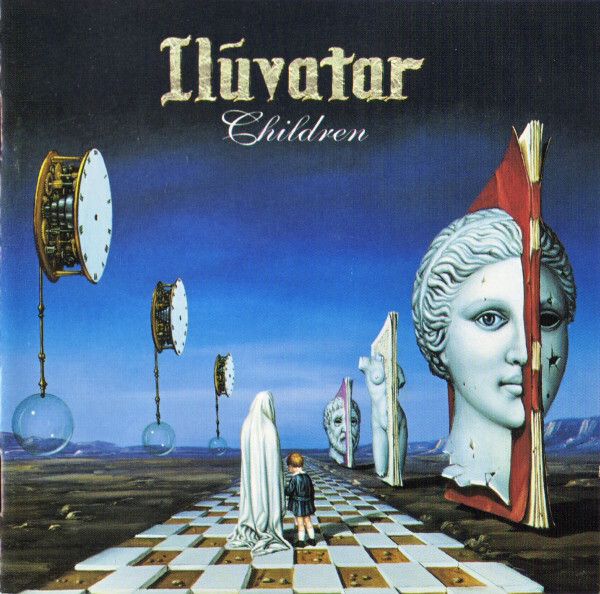 Similarly, Iluvatar's songs are stories spun into rich and warm melodic textures through generous application of synths, liquid guitar leads, bass pedals, even a little Mellotron here and there. Making good use dynamics, their tunes typically build from a single theme into grand passages overflowing with multiple layers of lush keyboards. Drummer Gary Chambers and bassist Dean Morekas are no slackers either, as they prove on the harder rocking "Cracker." The album takes about three songs to get off the ground, but with "Late of Conscience" picks up a spirited momentum that continues through the end of the disc, closing with "The Final Stroke," which may well be the best tune on the disc. Fans of this brand of prog should find a lot here to enjoy, as Iluvatar seems to pull it off with a lot more sincerity than the guys from across the pond.